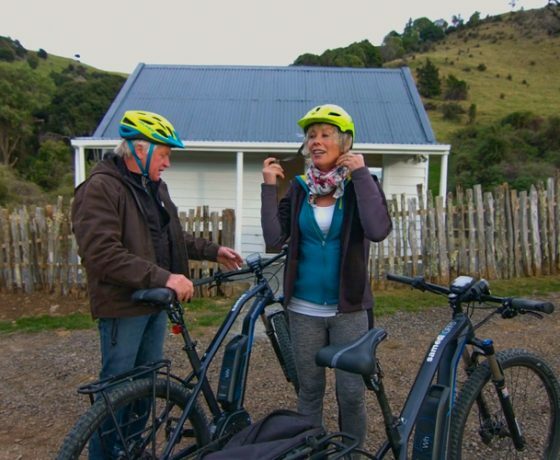 Akaroa’s electric bike hire and guided tours is a fun way to explore the Akaroa region either ride like a normal bike or just set your E-Bike assist level to suit the amount of exercise you wish to exert whilst enjoying the scenery around the volcanic terrain of the Banks Peninsula summits and the Southern bays of Wainui taking in stunning scenery of Akaroa’s inner harbour. 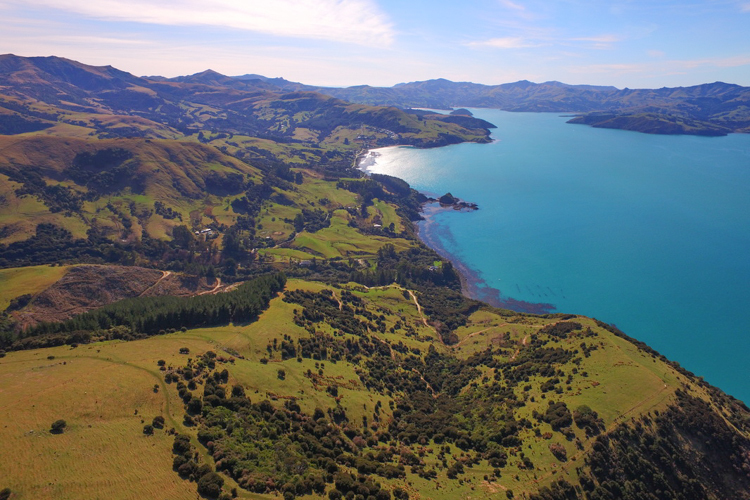 Akaroa and the Banks Peninsula is rated as the loveliest region in Canterbury. 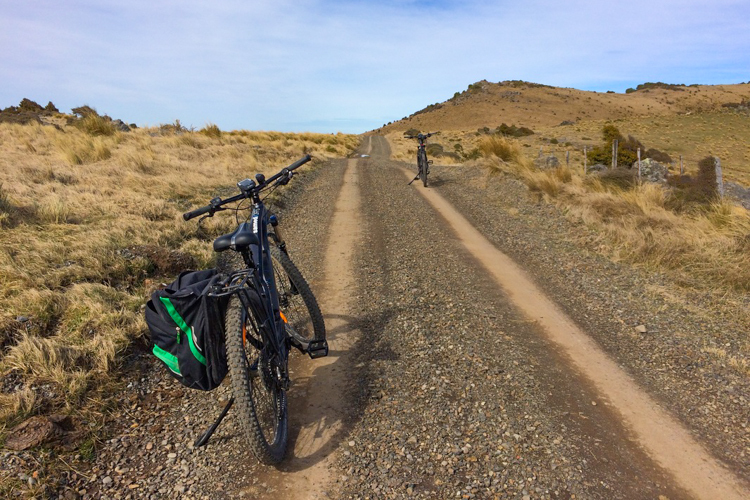 exploring the Banks Peninsula by bike with an extra boost is a fantastic feeling. 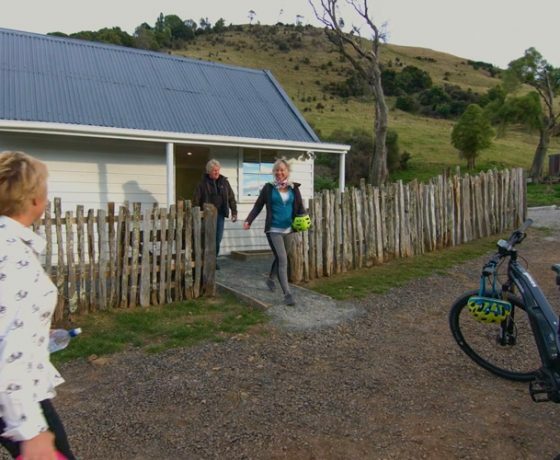 Nothing beats being out in the great outdoors to take in the incredible landscapes of the area, ranging from bright blue harbour views to volcanic mountains blanketed with pastures and native bush to the picturesque and rugged coastlines and bays. 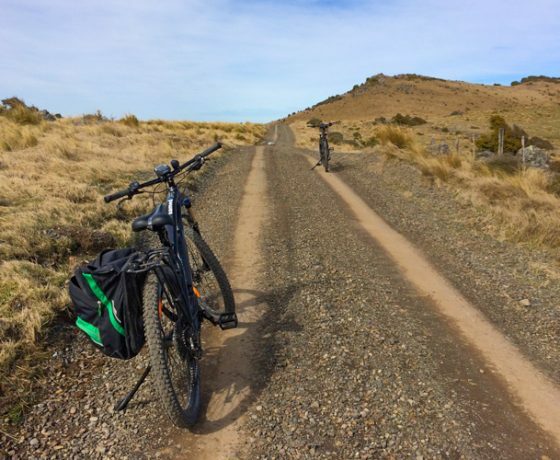 No hill is to steep with our French designed Moustache Electric Bikes. 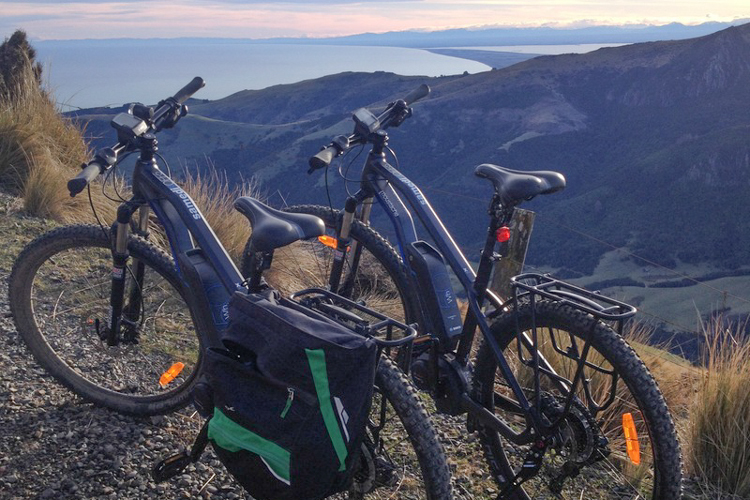 renowned as one of the world’s finest quality electric bikes powered by Bosch. 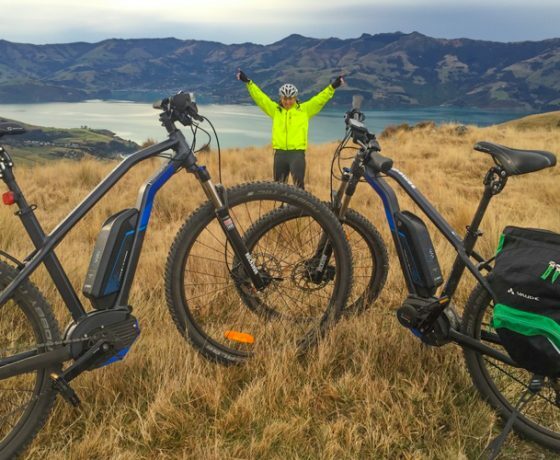 This type of biking system gives you powerful acceleration and uphill flow when eBiking. 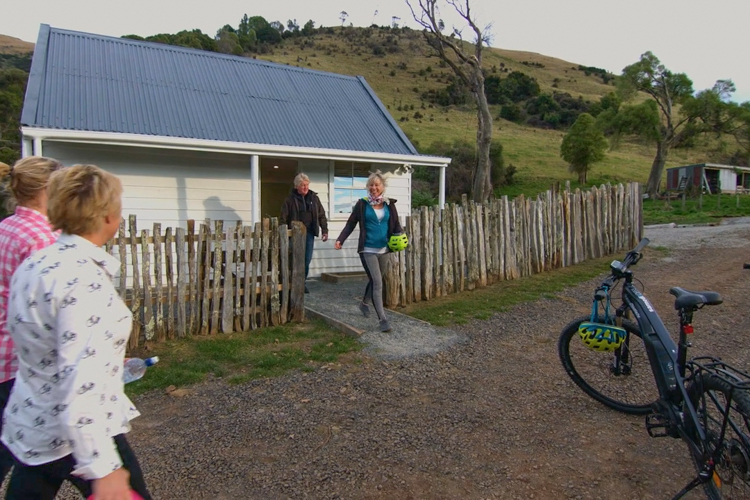 You still have to pedal and use your medium fitness level to enjoy our adventures. Trust us it’s a lot of fun and still a physical workout. 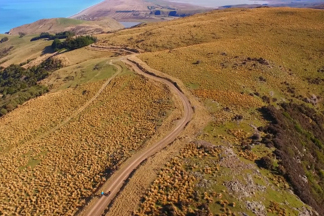 We can’t wait to share our exciting Banks Peninsula experiences with you all soon! 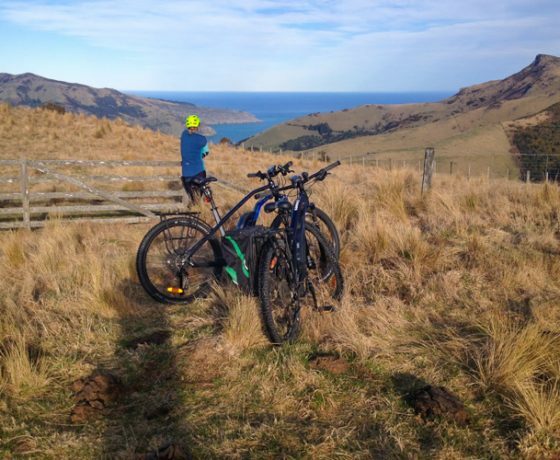 Spectacular harbour views and attractive rural landscape is all directions is explored on this intimate eBiking Akaroa tour. 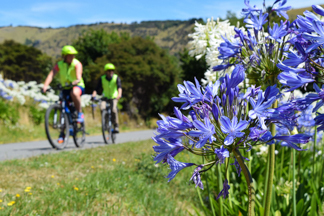 Starting at the Pohatu Penguin Office, 2/8 Rue Balguerie, Akaroa, your small group, maximum 4 people will take a challenging and exhilarating bike ride through the quaint Akaroa Village, over steep volcanic hillsides (on formed roads) and the Akaroa crater rim! 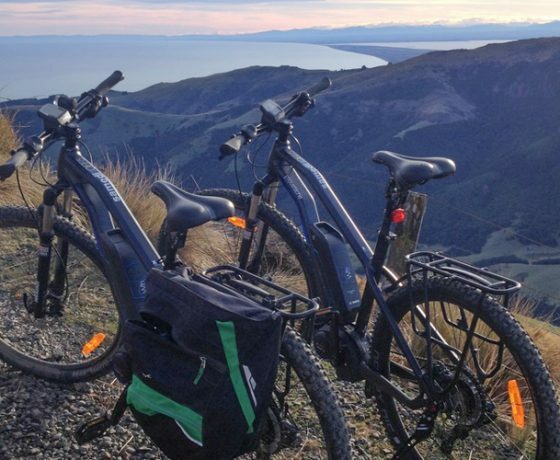 Stunning views will not disappoint while biking on these outstanding eBikes that allow you take the ride at your own pace and ability. 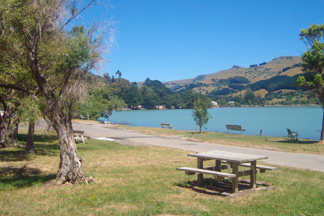 A pick up from Duvauchelle Bay with a scenic coastal drive returning you to Akaroa is included in the price. 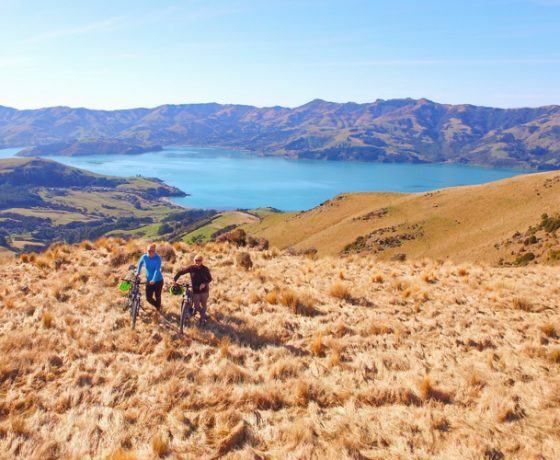 This enchanting tour allows you to take in the stunning scenery around the volcanic Banks Peninsula summits. 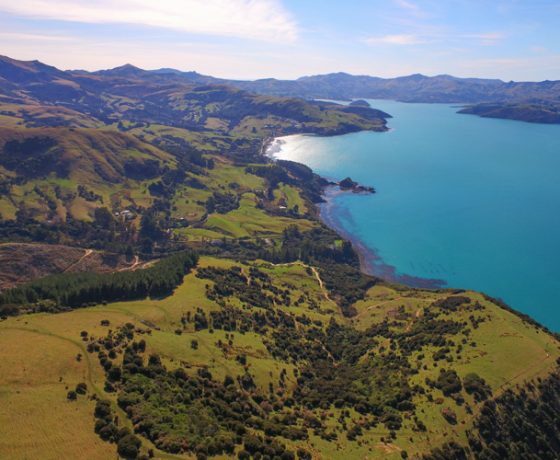 It includes breath taking sea views up to the Kaikorua ranges, panorama views of Okains Bay and the Akaroa Habour. 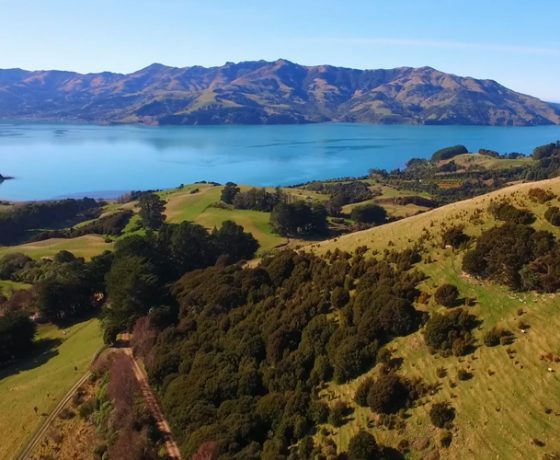 This begins in the Wainui settlement and allows you to take in the stunning scenery of inner harbour, Akaroa the Southern Bays and the heads via the charming volcanic terrain of Banks Peninsula. 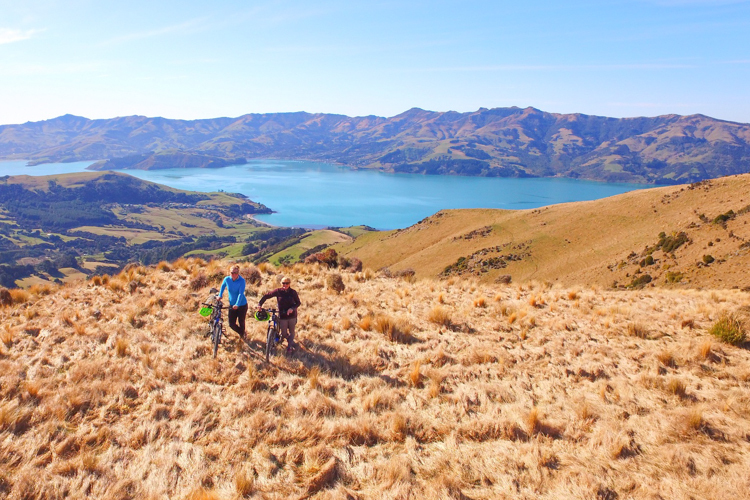 This enchanting tour allows you to take in the stunning scenery around the volcanic Banks Peninsula summits. 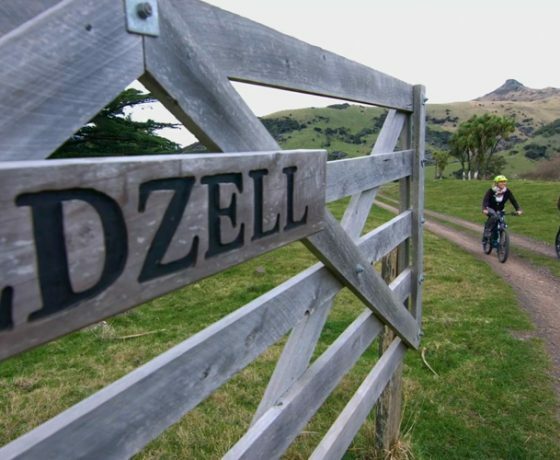 It includes breathtaking sea views up to the Kaikoura ranges, panorama views of eastern bays coastline. 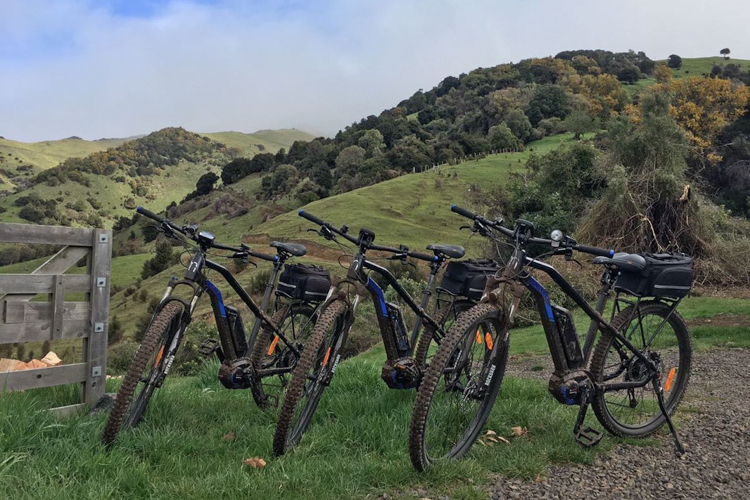 Bike riding on the start of these state of the art Moustache eBikes (electric bikes) clients will experience biking like never before making the steepest hills possible for the average person. 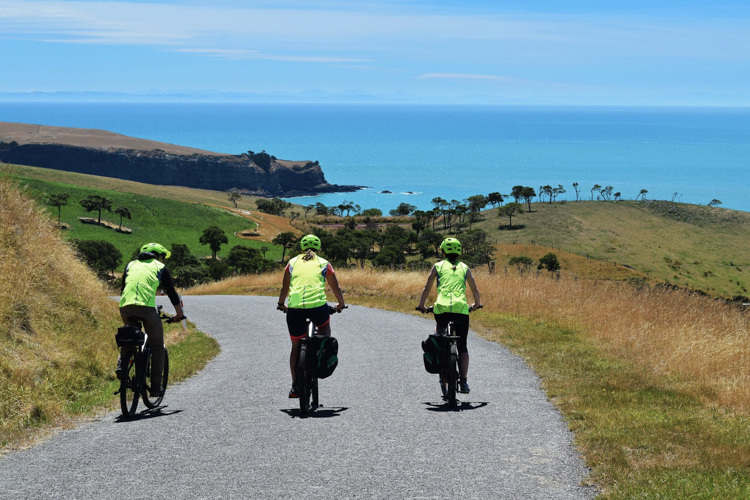 Panoramic Banks Peninsula landscape surrounds you while you cover considerable distances whilst still pedalling and enjoying an active day out. 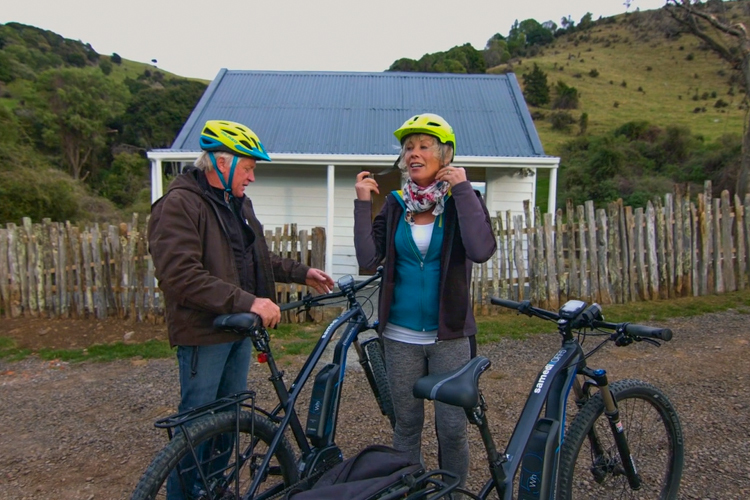 The Port Levy & Pegion Bay Tour begins in the Little River settlement and instantly clients experience the peace and tranquility of rural New Zealand by bike. 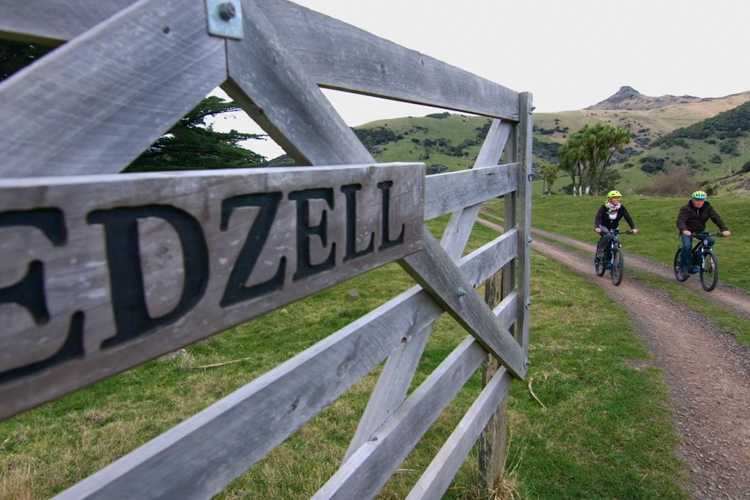 A unsealed road takes clients on their first climb out of the small township through the native bush and farm lined road. 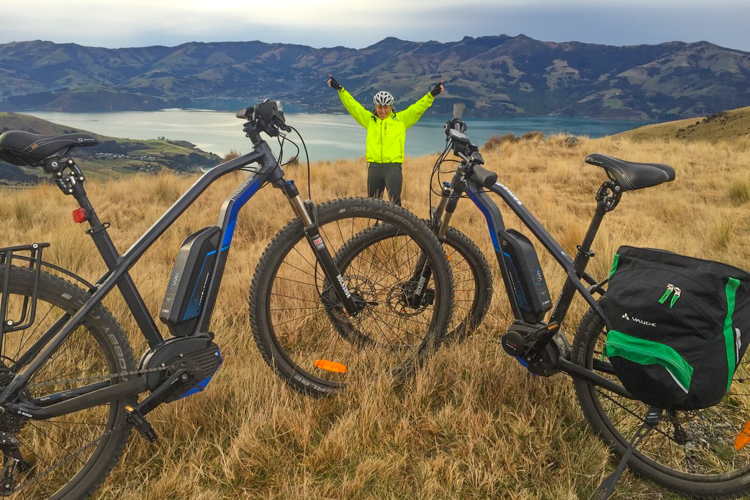 Winding up hills and down hill the eBikes make the ride incredibly enjoyable and allow riders to take in all that is to see whilst still having the option to increase or decrease the pedal assist of the bikes. 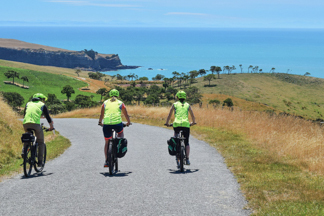 The tour takes clients down into Port Levy bay and a steep hill awaits them that will be enjoyed with a blue vista of the bay behind them as you ride on to Pigeon Bay. 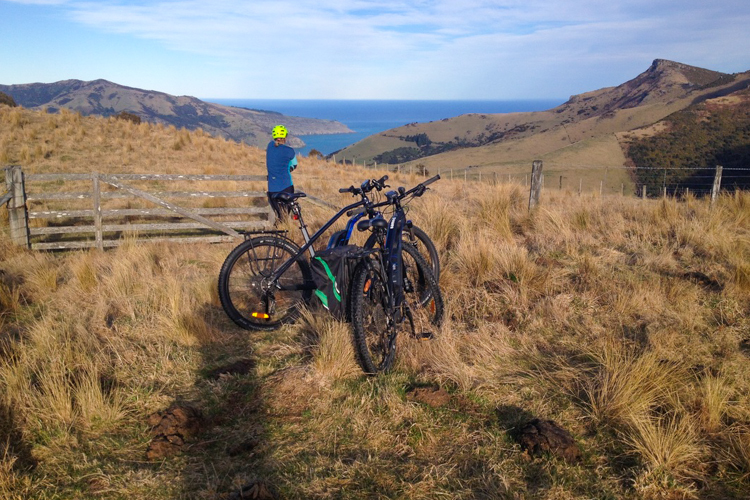 A tour you do not want to miss on you Banks Peninsula visit. 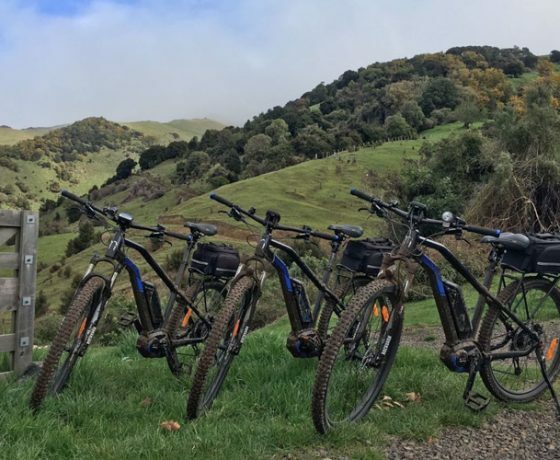 Full suspension cross country electric bikes will give extra assistance to you as you pedal your way around an authentic NZ landscape. 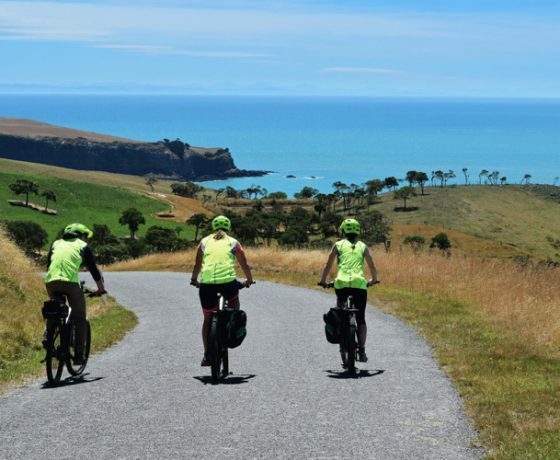 Starting in Canterbury’s French Farm village cyclists will soon ascending on a sealed country road around the inner Akaroa harbour and make their way to the crater rim. Viewing farm, harbour and ocean views before returning to French Peak Winery. 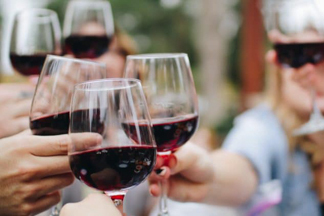 At French Peak Winery, a local French host will guide you through their adaptation of French wine-making methods to the New Zealand climate. 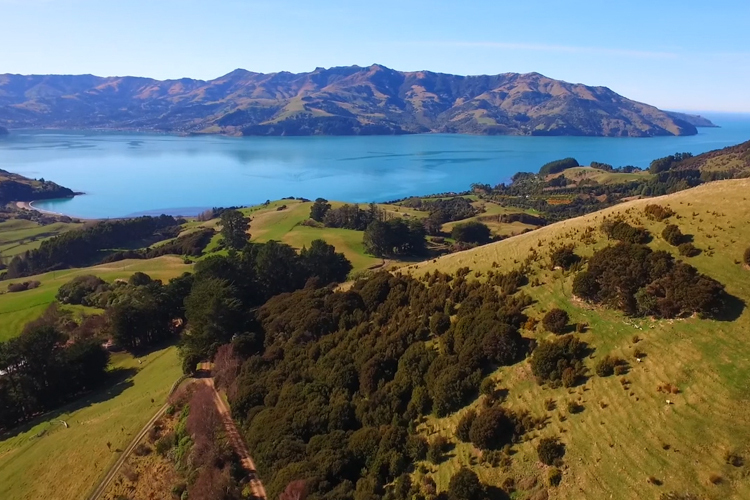 The Winery is nestled in the historic French Farm Valley, offering peace, tranquility, and stunning harbour views. Tasting of the local Pinot Gris, Rosé, Pinot Noir and Chardonnay will be on offered during the tour. 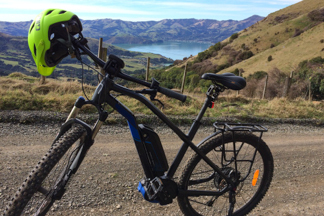 Booking for Akaroa Electric Mountain Bike Hire & Guided Tours.